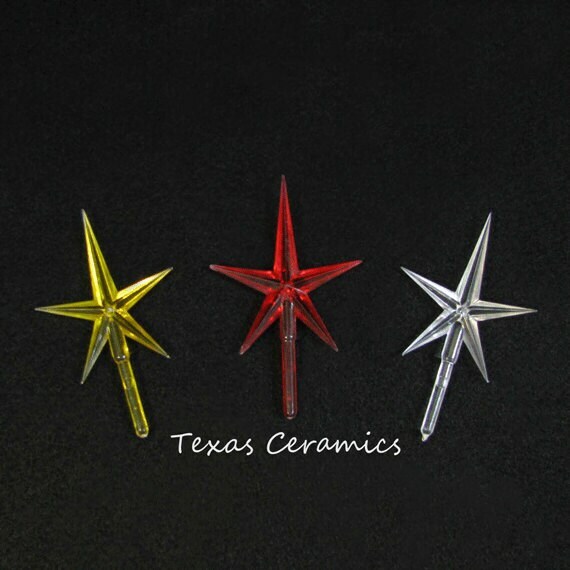 Complete the top of a new or vintage ceramic Christmas tree with this 5 point modern star. 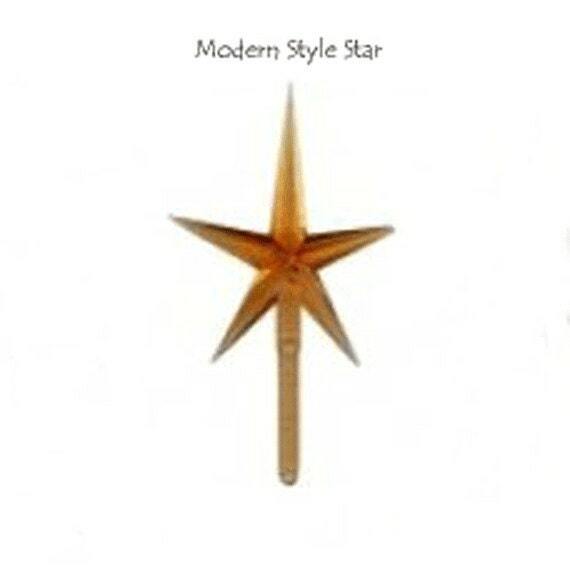 The medium size star is made of virgin plastic. It is transparent and has a gentle glow from the light inside the tree, the hole at the top of the tree must go all the way through for it to glow. This star can be used in a variety of trees, I use this star in my 9 - 12 inch trees. 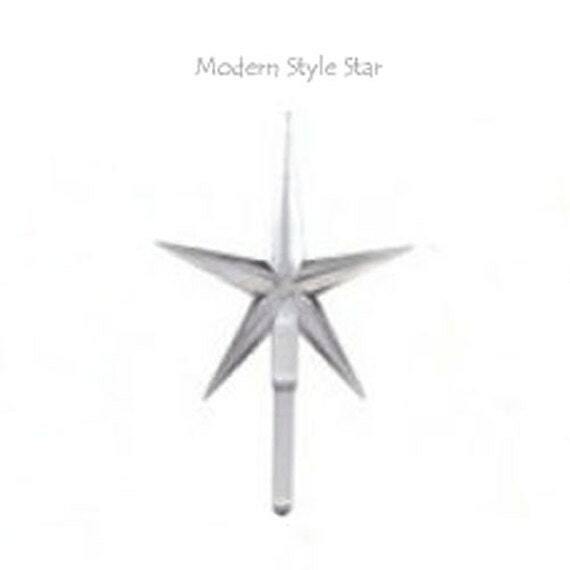 This modern style star is carefully molded with crisp detail. The transparent virgin plastic provides clear brilliance to ceramic Christmas trees or any craft project. *Use a tiny dab of water base glue (Elmer's or Tacky glue) to secure in projects, it is recommended to remove stars from tree tops before storing. Just what we were looking for.....thank you! Thank you. Very fast shipping.